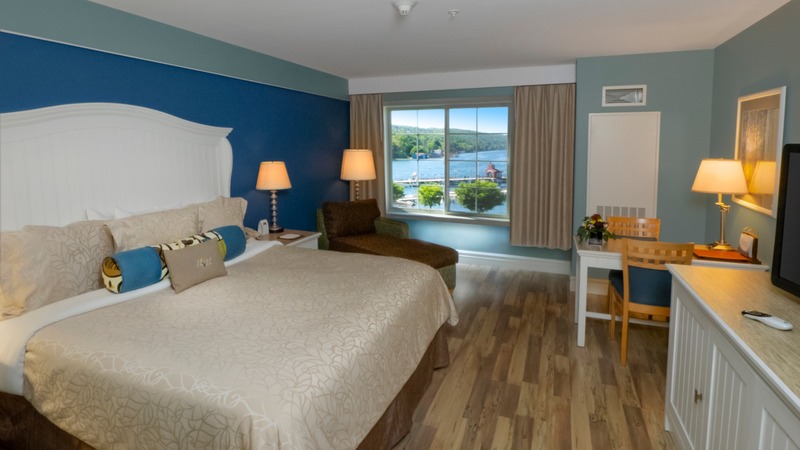 Sunny and spacious, our hotel offers deluxe guestrooms and suites  many featuring panoramic lake views and balconies. 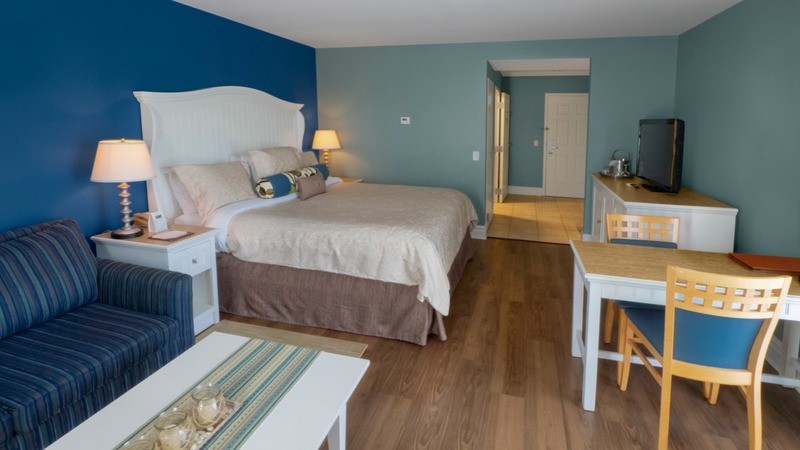 All are beautifully appointed with wood floors, pillow topped mattresses covered with 310 thread count linens and duvet cover, down feather pillows, plush bathrobes, green amenities, and in-room refrigerators. 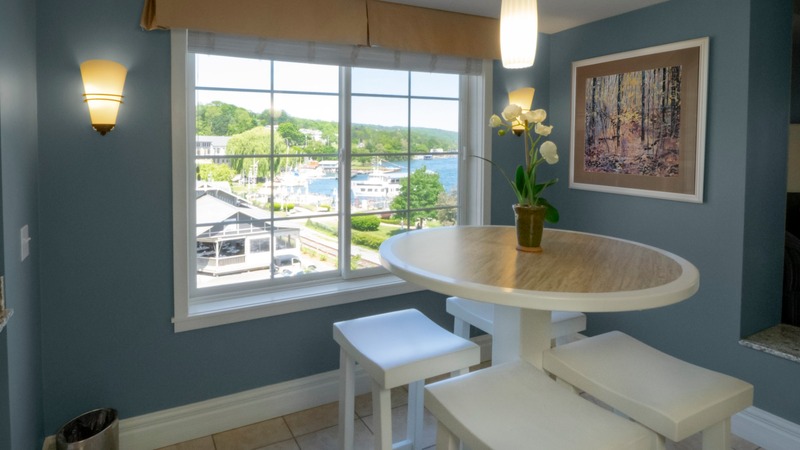 During your stay you'll find a wealth of thoughtful touches, from the complimentary morning coffee and tea bar on every floor to nightly turn-down service. 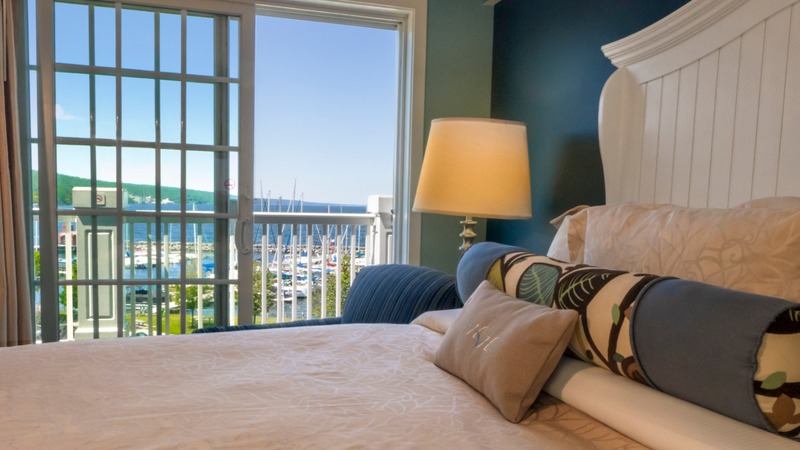 Each beautifully appointed Lake View room boasts tasteful décor, a tranquil ambiance, and breathtaking views of picturesque Seneca Lake. 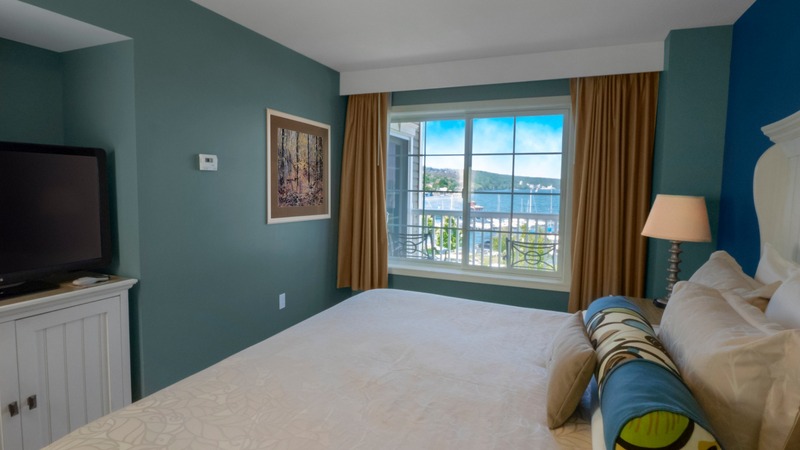 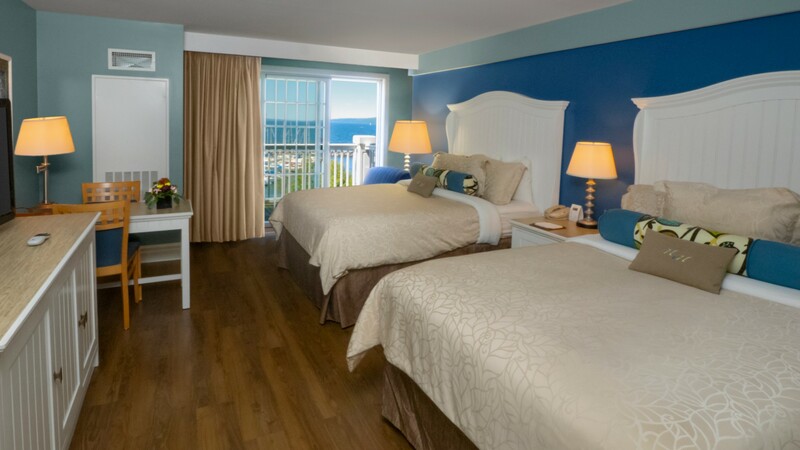 These rooms have varying layouts, all of which boast tasteful décor and a tranquil setting. 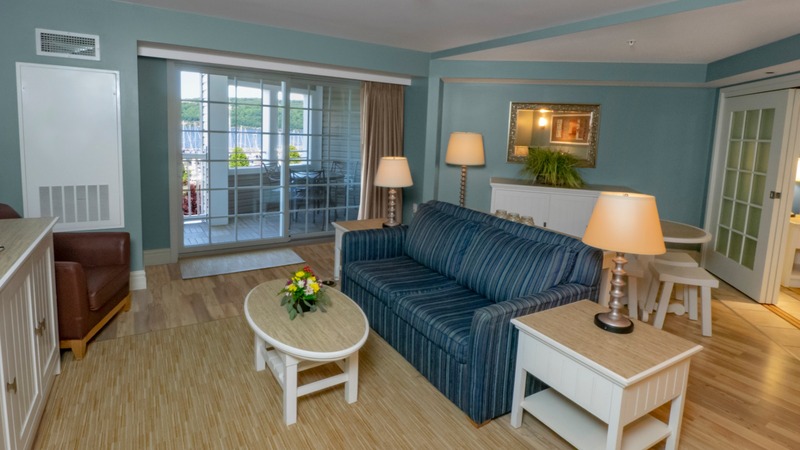 Each room will come with our Signature Bed, Spa inspired granite and glass-enclosed shower, 310 thread count linens, refrigerator, Harbor Hotel Robes, and complimentary wireless internet. 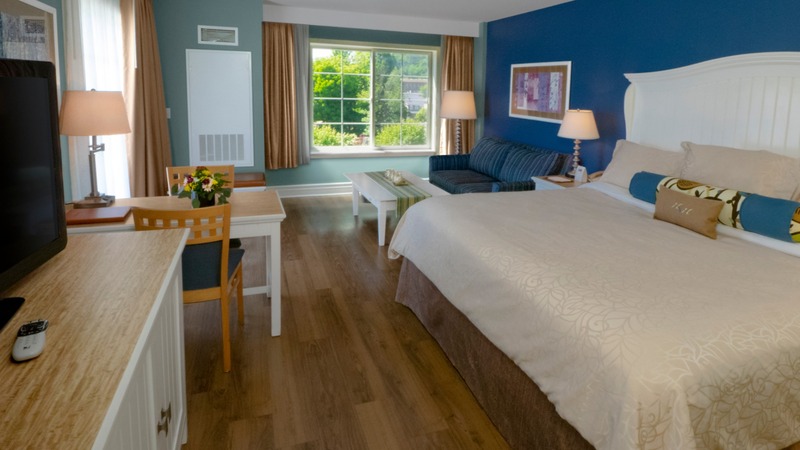 If a luxurious room with views of the village of Watkins Glen is what you are looking for. 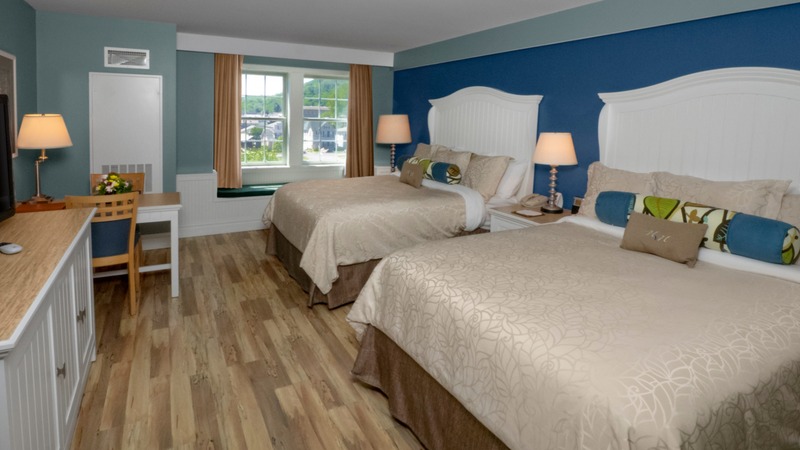 These rooms have varying layouts, all of which boast tasteful décor and a tranquil setting, along with terrific views of the quaint Village of Watkins Glen. 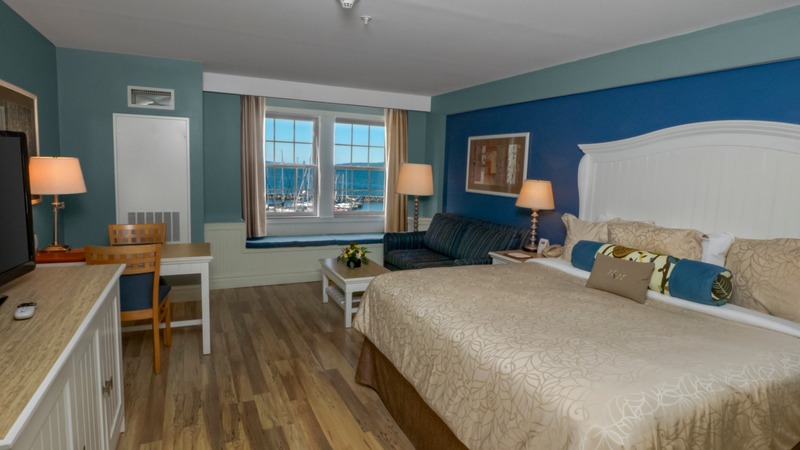 Each room will come with our Signature Bed, Spa inspired granite and glass-enclosed shower, 310 thread count linens, refrigerator, Harbor Hotel Robes, and complimentary wireless internet. 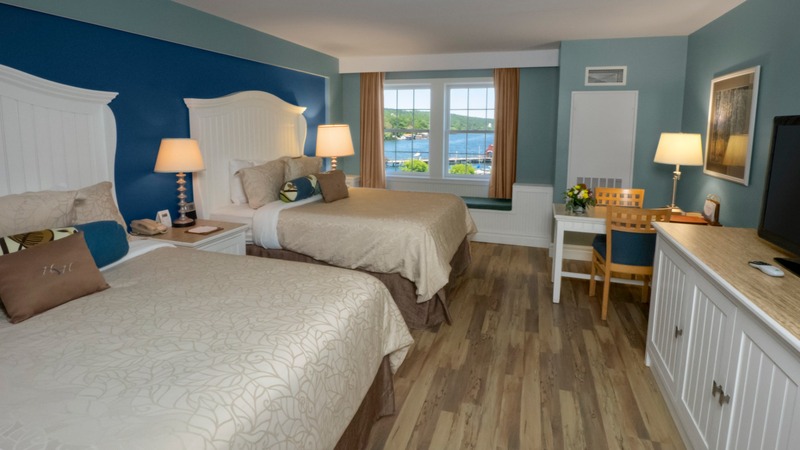 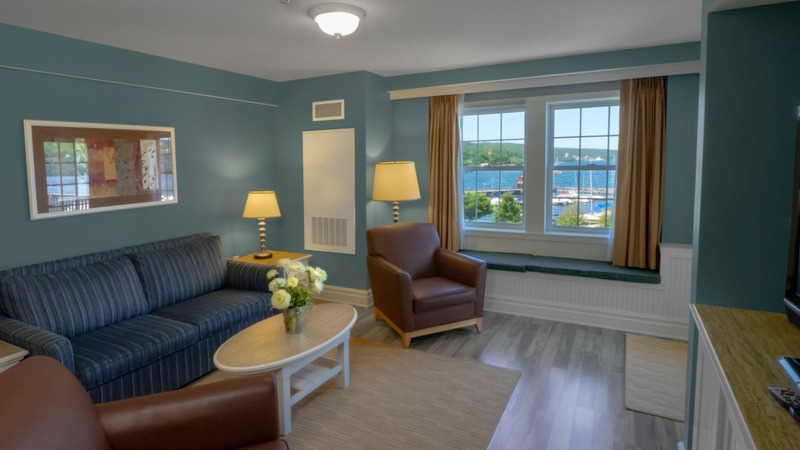 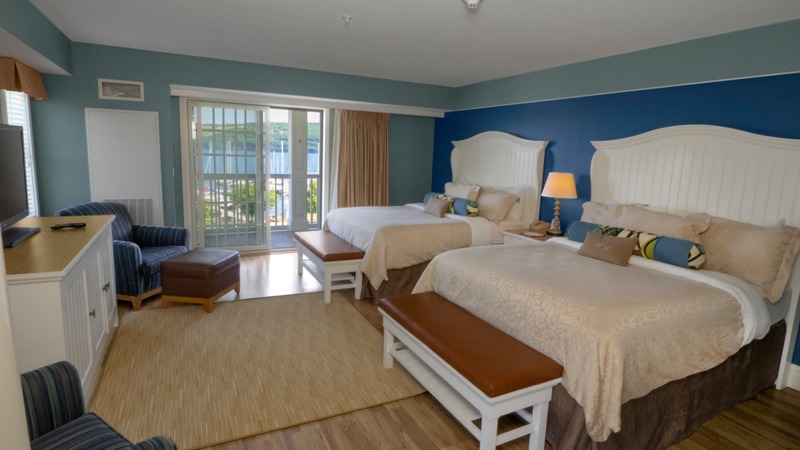 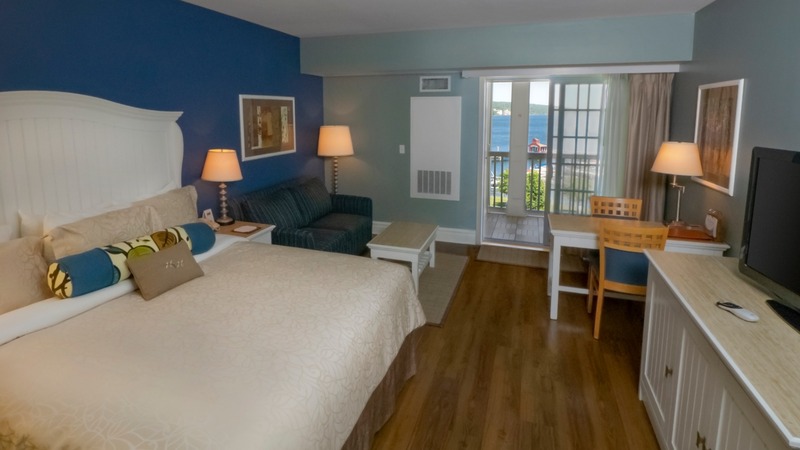 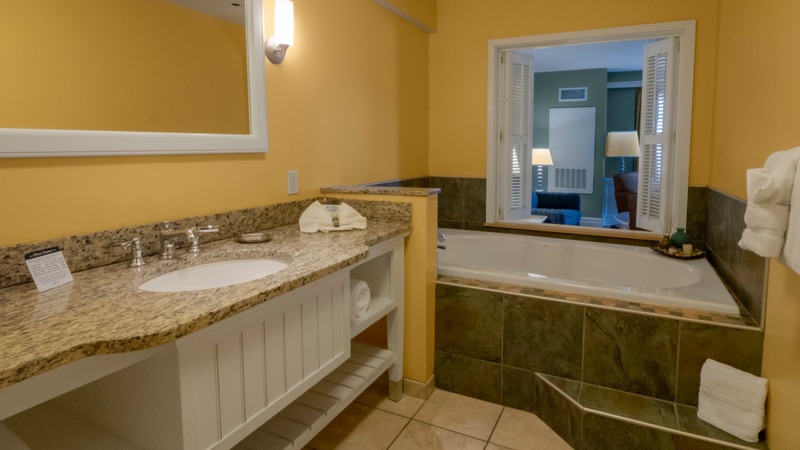 Our admiral suite is beautifully designed with a separate bedroom with a King Beg, living area and a balcony with a lakeside view of Seneca Lake. 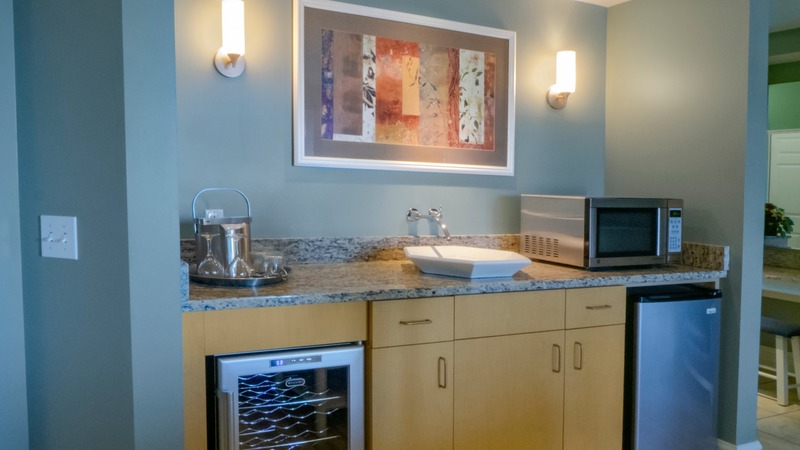 The suite features a wine refrigerator, wet bar, and microwave. 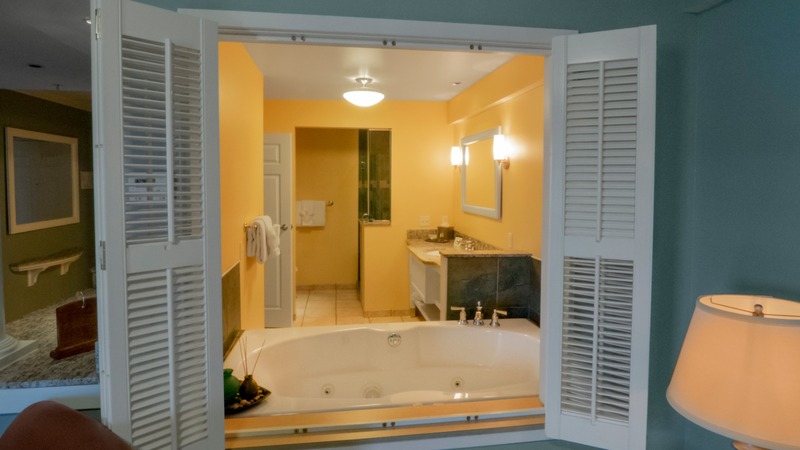 The bathroom has a jacuzzi tub. 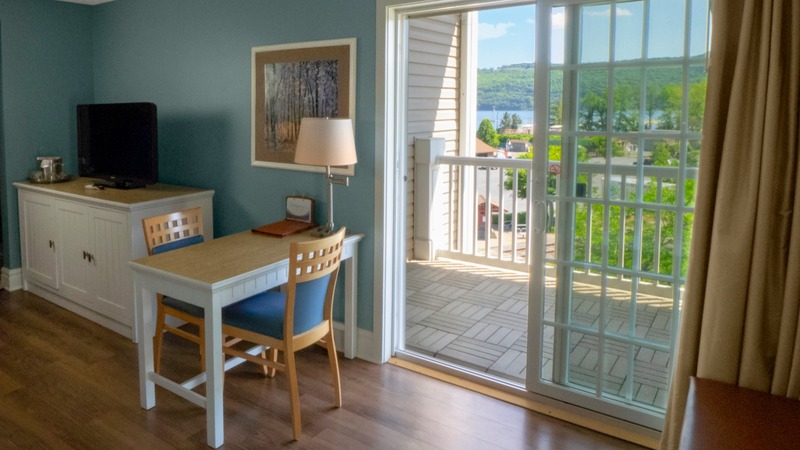 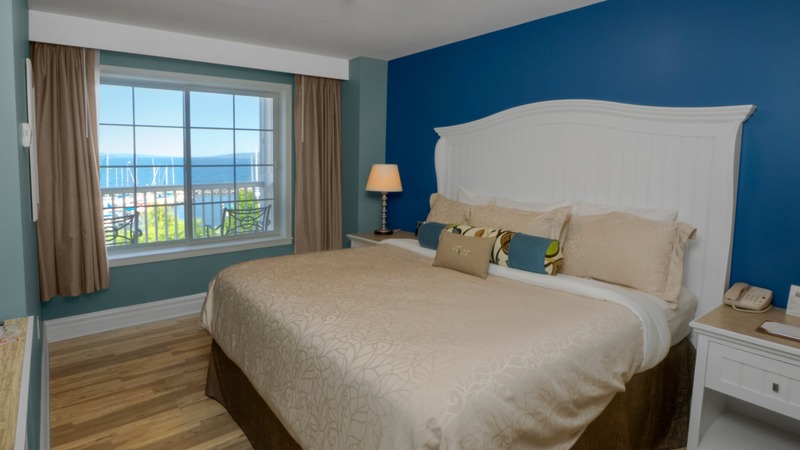 Our Commodore Suite is elegantly appointed with a lakeside balcony with a view of Seneca Lake. 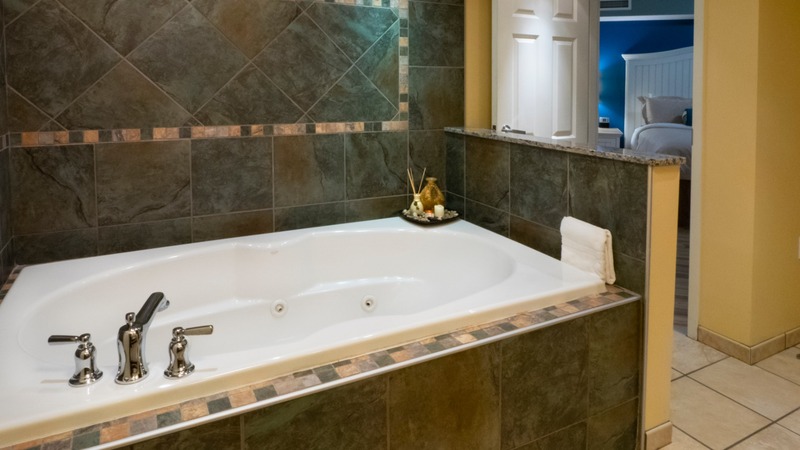 The suite features a wine refrigerator, wine bar, seating area with a separate bedroom, and a jacuzzi tub in the bathroom. 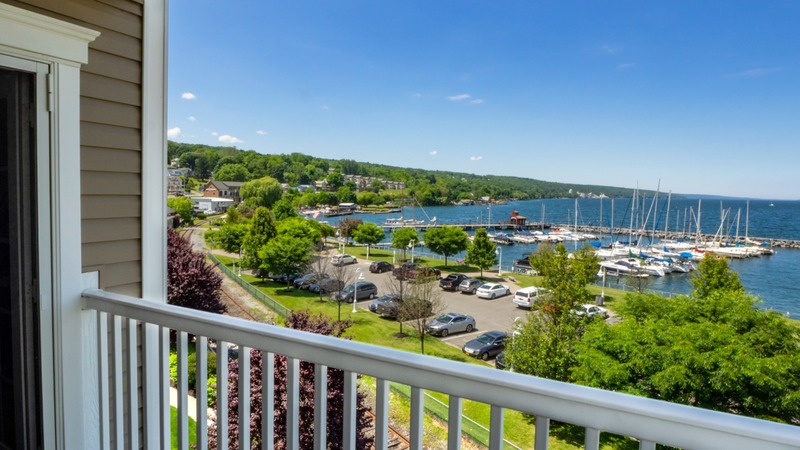 Each beautifully appointed Deluxe Queen Room overlooking the picturesque Seneca Lake, features a spacious patio to the tranquil sunsets. 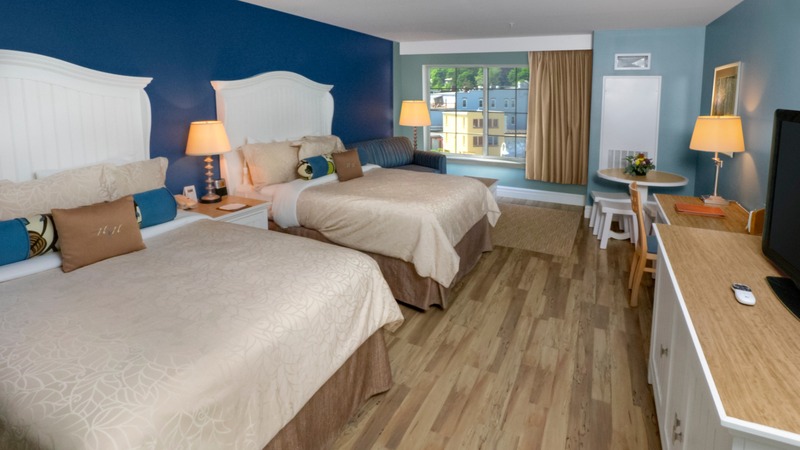 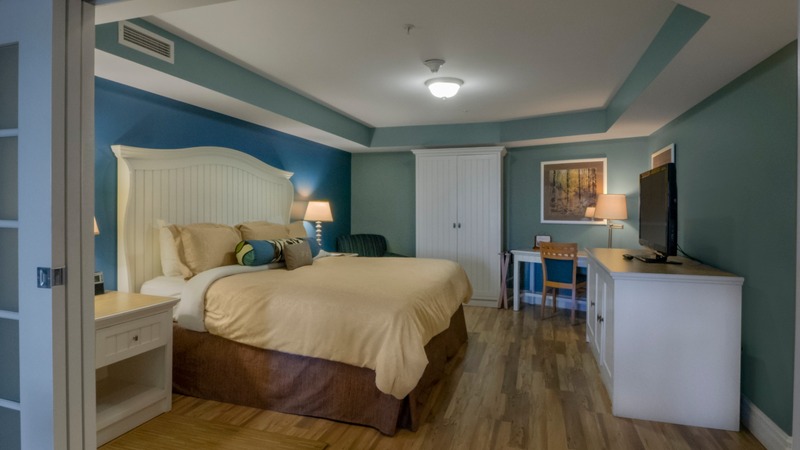 Rooms include two Queen beds, luxury designed pillow-topped mattress, covered with 310 thread count linens, a duvet cover and down feather pillows. 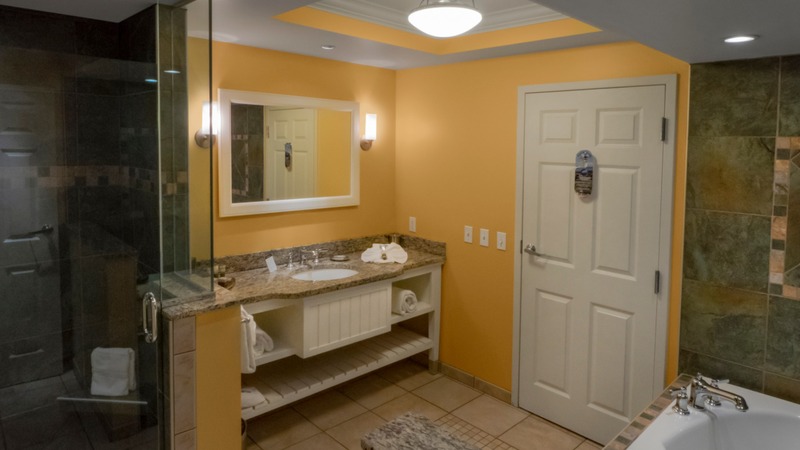 Bathroom includes a glass enclosed shower, robes, granite vanity, along with a second vanity area outside of the bathroom. 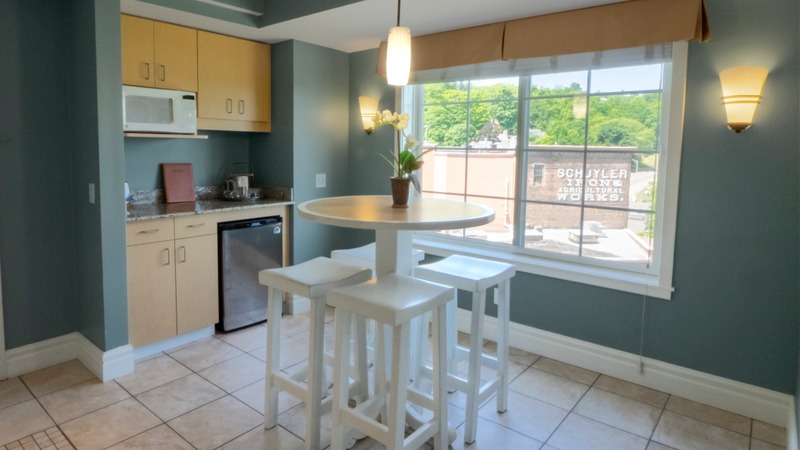 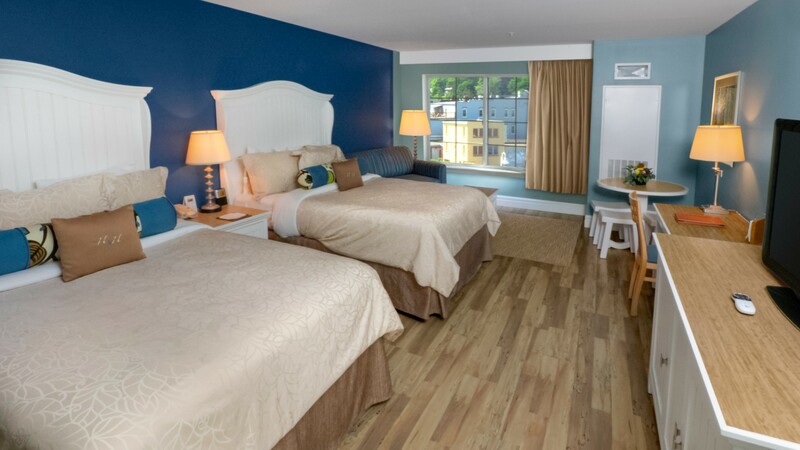 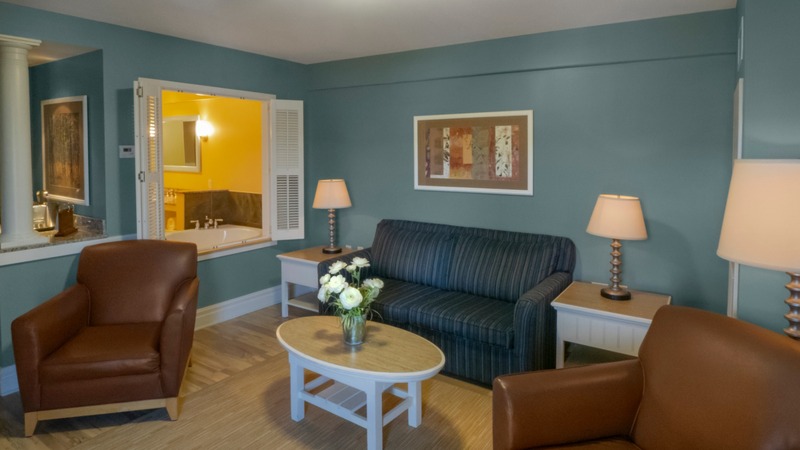 Amenities include a flat panel HDTV, refrigerator, complimentary high-speed wireless internet, and iron/ironing board.